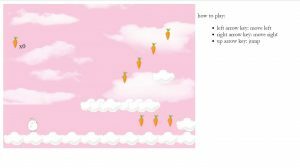 in which the bunny hopping along a grassy landscape, and possibly through houses, go underground and jump onto trees to find carrots and eventually win the game. Somehow, I’d like to be able to make this a two-player game as well if I have the time. 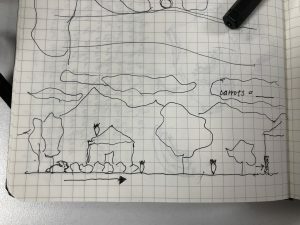 For my final project, I want to create an interactive game with a moving landscape. 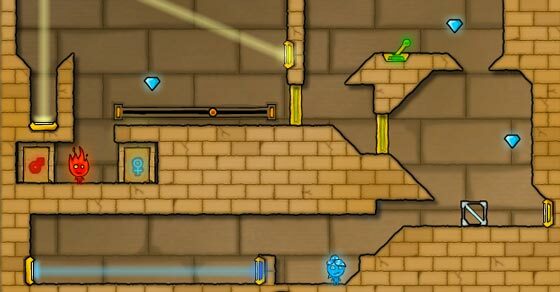 The initial examples that I thought of were Super Mario Bros, developed by Shigeru Miyamoto, and Fireboy and Watergirl, developed by Oslo Albert. Growing up playing these games, I have always wanted to be able to create something similar. In each of the games, the characters try to avoid enemies to collect items they need to win the game. However, in mario bros, the enemies move around while in the other, the “enemies” are stationary in that they are bodies of water and fire. I am interested in creating something like the former, with moving objects towards the bunny with a moving landscape like one of the previous projects we have done (generative landscape). But I like how Fireboy and Watergirl has a multiplayer component to it (as the mario bros game I grew up playing did not). For this project, I decided to play around with angles and lines and see what kind of shapes I could make with different patterns and sizing. 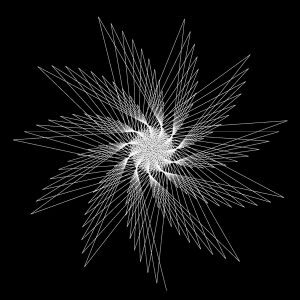 I eventually ended up with a flower / pinwheel, drawn spiraling out to a certain angle. It was interesting to see the difference between using turtle graphics to draw this versus not using it. Keiko Uenishi is known for experimenting with “restructuring and reanalyzing one’s relationship with sounds in sociological, cultural and/or psychological environments.” One of her works that stood out to me is an installation entitled CDL, or Car Décalé (Légèrement)/Because Shifted (Slightly). Since Uenishi dabbles with the questioning of ideas of space through what she calls aural perceptions, and her experiments expose people to temporal spatial experiences that are usually new to them. CDL is an “experiential/phenomenological sound-performance/installation/method” that uses audio-feedback to redefine a space. Uenishi uses simple spatial parameters as a setting for the experience (i.e. no decorations, no special flooring or walls, no furniture, no columns, etc.) as there should be no unnecessary distractions. The version of CDL above uses found objects (mainly construction materials) to create a part to whole experience — a series of smaller, temporary structures within a larger structure (the room). After attempted experiments, she would add or alter the objects to, in conjunction, alter the spatial experience of this specific CDL. I decided to do a Halloween themed project! Using a gif I found online and editing it on Photoshop (editing out the background and creating separate png files), the two dressed-up dogs are walking along the horizon against an black background and orange mountains. Sample image of the rendered landscape. Architecture set placed in the rendering. Foliage set used throughout the rendering. One day I’d love to do something like this; it seems like so much fun to create and to see the final outcome come together so beautifully created like Meltser’s final rendering video. This makes me think of how far an architect can take their drawings and ideas — into a realistic three-dimensional journey that displays in depth details of each plant, landscape element, building, objects, etc. For this project, I used an image of my best friend from home, Mina! It was a lot easier than I expected! 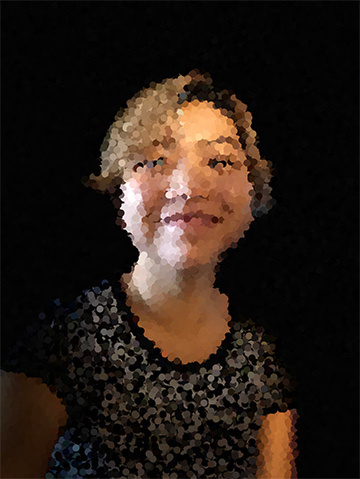 From just a few lines of code, you can produce such a cool animated image! I am excited to try this out with different images and shapes in the future. For this project, I chose the shape hypotrochoid and drew it three times to create three intersecting hypotrochoids. The parameters are the mouse X and mouse Y position, and the mouse X changes one ellipse’s radius while mouse Y changes the other. It is intriguing to watch the three intersect as they create even more curves together.